What Happens At Clown School? What Happens At Fools School? 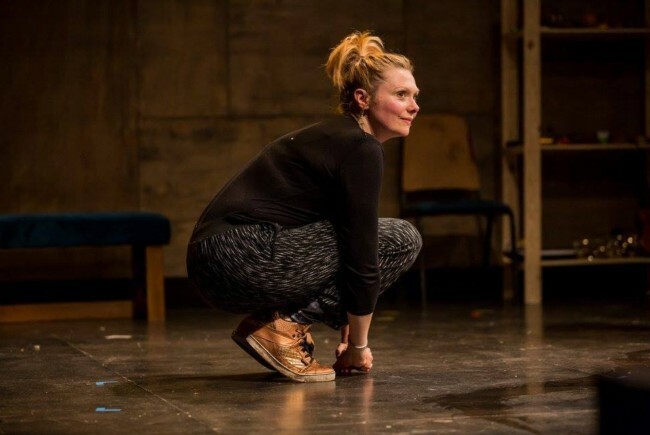 In the run up to Beyond The Ridiculous' 3-night run at The Wardrobe Theatre, one of our Fools, Naomi Smyth was interviewed by the hilarious and eloquent Sarah Slater, on BCFM's 'Stood Up', a show about the Bristol Stand up scene. "The training involves being alright with things not being perfect, being alright with being vulnerable in front of other people." "Watching it feels like almost watching someone have a cathartic experience...and it needs to have the audience on side almost willing and breathing with them to allow them to exorcise whatever that internal fool, clown, ghost, memory, image might be...in that moment of inspiration to move in a certain way or hide or jump or fly or look or crouch, there's a lot of stillness and time." “One of the things we're encouraged to do is start with how how we physically feel, once we stand in front of the audience... if you're feeling really tense, you're encouraged to play that and not cover it over and pretend that it's fine, because that's a good way to get through it and get past it and what's interesting is that often the audience love you for that because they're thinking “yeah, I would be too”"
If that tickles your fancy, click here to buy your tickets now! We're on for three nights, 19, 20 and 21 April. More info here.